This is a rectangular Finck’s Overalls porcelain sign. This particular Finck’s Overalls sign features beige text against a red background. 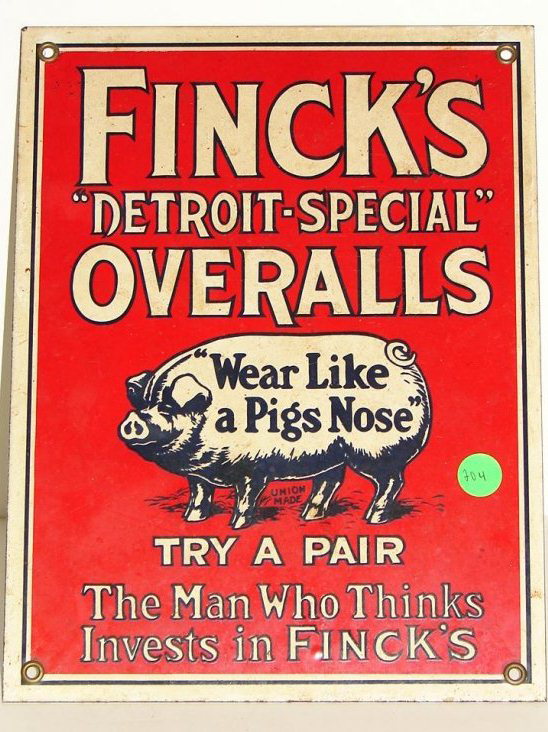 It reads, “Finck’s “Detroit-Special” Overalls, Wear Like a Pigs Nose, Try a Pair, The Man Who Thinks Invests In Finck’s” and features a large pig in the center.